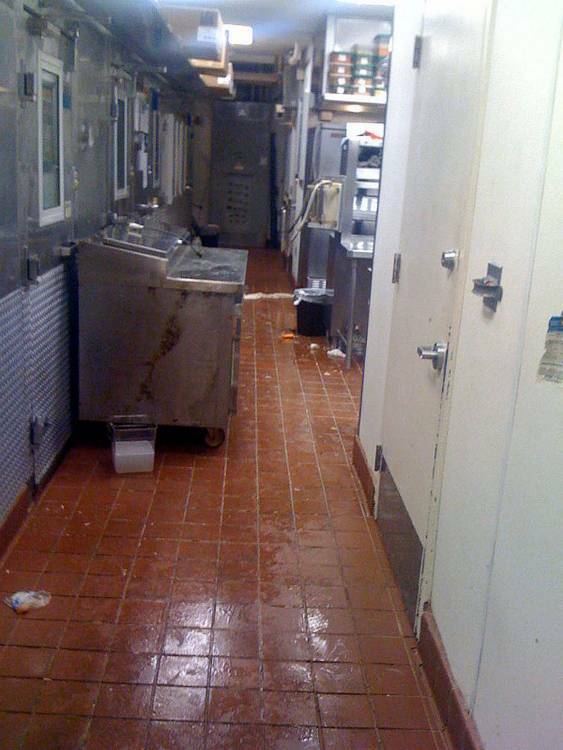 Overnight Kitchen Flooring Busy restaurant in need of new flooring without impacting operation. 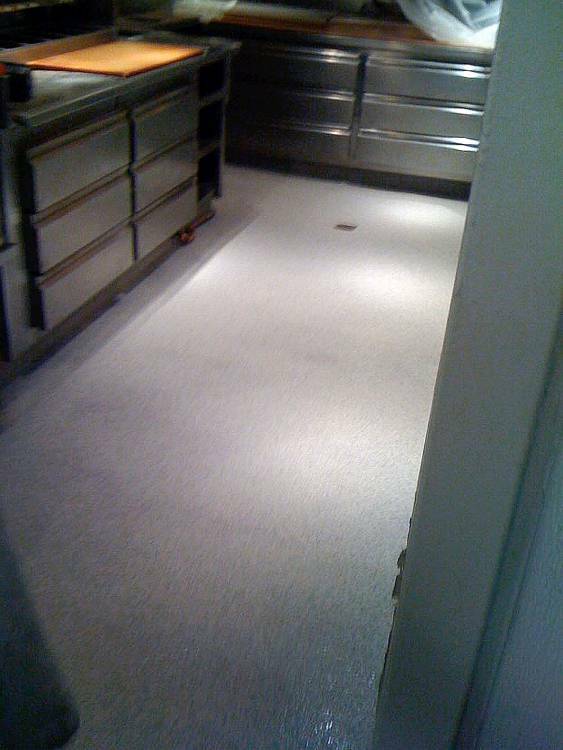 Overnight Kitchen Flooring Existing tile flooring in kitchen. 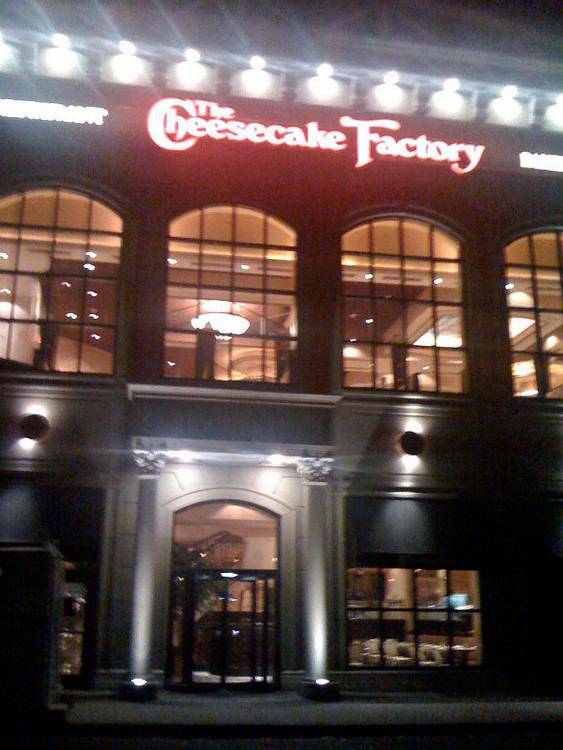 Overnight Kitchen Flooring Fast curing MMA seamless flooring was installed in one night which enabled the restaurant to open for business in the morning. 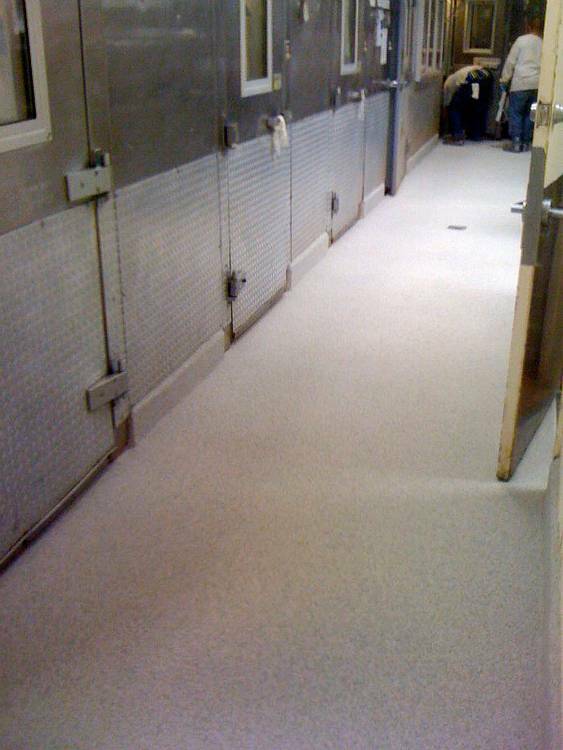 Overnight Kitchen Flooring Seamless MMA flooring is tough, and there are no pinholes or cracks where dirt, bacteria and mold can accumulate. 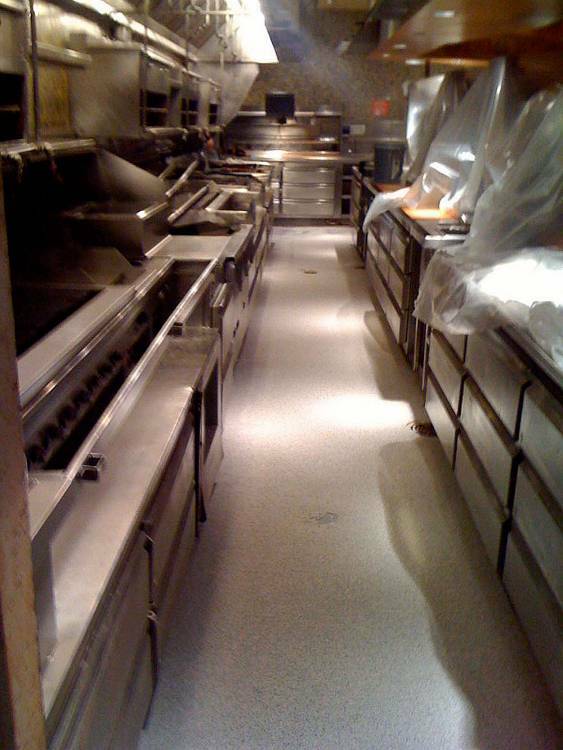 Overnight Kitchen Flooring MMA stands up to the repeated washdowns and temperature fluctuations associated with kitchen applications.